for trusting me with your memories. For your convenience, you and your family can order online and ship items directly to your home. You can order professional prints and products by clicking the BUY tab located on the upper right side of your gallery. .
Love your photos? VHP offers custom designed flush-mount, Heirloom Storybook Albums and Keepsake Video of your session. You can also order digital files. Please email to order items not found in your shopping cart. Not sure what to order? VHP also offers Designer Order Consultations to assist you with artfully arranging your photographs in your home. 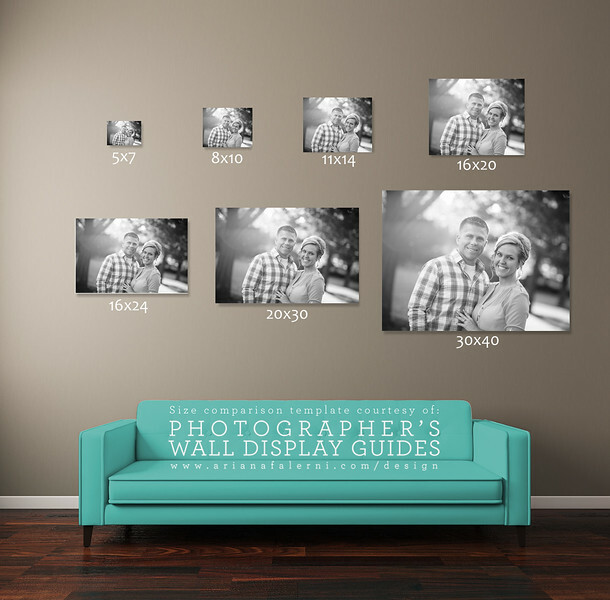 This Sizing Guide perfectly demonstrates how to maximize the impact of your images when hanging on your wall. All images created by Valerie Hawkins Photography are the exclusive property of Valerie Hawkins and are protected under the United States and International Copyright laws. The images may not be reproduced, copied, transmitted or manipulated without the written permission of Valerie Hawkins.